Eufracio and Era Ocampo resisted the temptation to work abroad and started the business for only P10,000. Whenever a family member or a friend comes home from a vacation, or even just from work, almost always they would have pasalubong, what Filipinos fondly call their take-home goodies, in tow. “When we were young, our father would always come home from work with pasalubong,” recalls Eufracio Ocampo. It is a tradition he wants to keep alive through his pasalubong kiosk Sitsirya Sari-Sari, which he started with his wife, Era, in 2001. But instead of peddling the usual commercial junk food fare, Sitsirya is promoting traditional Filipino delicacies, “the best of what the Philippines has to offer,” noted Ocampo. While the concept centers on tradition and happy memories, the business itself was built on loss and hardship. In 1983, the Ocampos found themselves jobless and mourning the death of Era’s father. Fighting back temptation to work abroad for fear that it might tear the family apart, the Ocampos chose to start their own business instead. 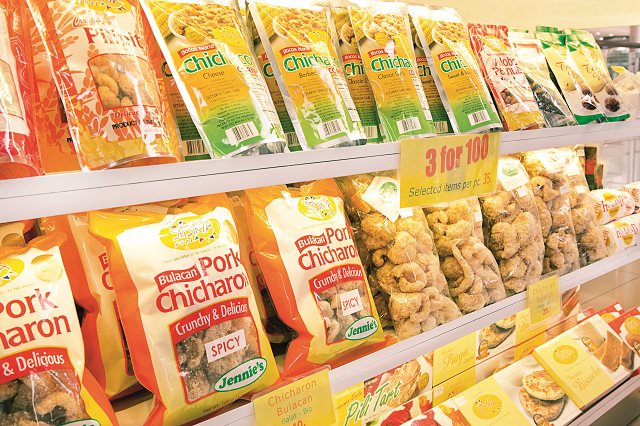 Armed with P10,000 (around $210), the Ocampos started Burp Foods in 1984, selling traditional Filipino delicacies like pili nut tarts, pastillas de leche (a type of soft candy made from milk), piaya (a flat bread with various fillings), and tamarind candies. When Eufracio failed to renew their business registration, they lost their business name, which forced him to coin a new one – he came up with Sitsirya Sari-Sari. The name change ultimately redirected the course of the business, and paved the way for a better brand. REGIONAL FAVORITES. 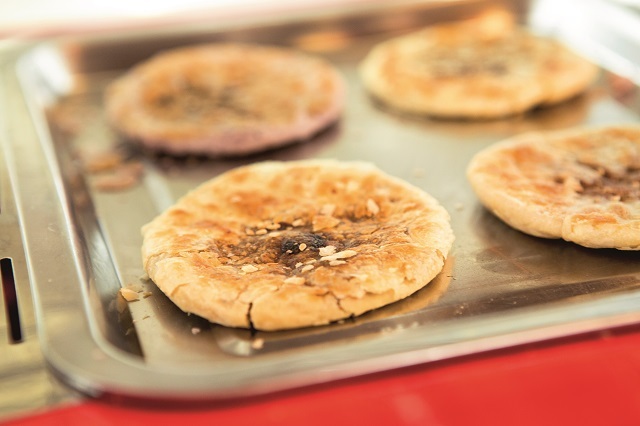 Piaya, a flat bread with various fillings, is one of Sitsirya Sari-Sari's best-selling products, along with chicharon (pork skin cracklings) and pastillas de leche (candied milk). Photo by Heidi Aquende. While Sitsirya does not produce the goods themselves, it has a network of trusted suppliers of traditional delicacies from different parts of the Philippines. The suppliers are able to tap a bigger market through the Sitsirya brand, with the Ocampos guiding them on how to improve their production practices, facilities, and product costing. 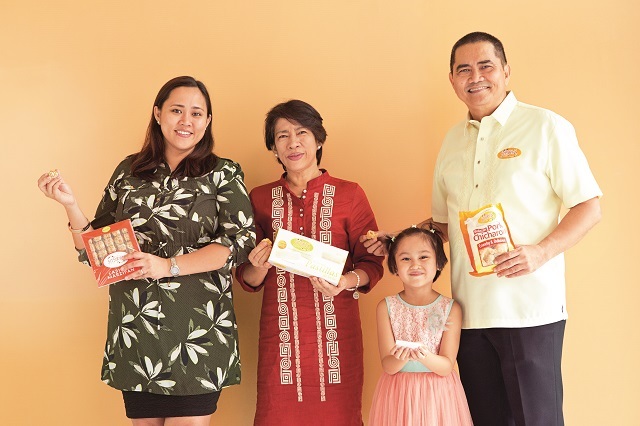 Their packaging innovations allowed Sitsirya to corner diverse markets, from balikbayans (returning overseas Filipino workers), tourists, and even organizations in need of gifts and giveaways. Small pouch samplers called “Pasalubong kay Bunso,” snacks intended as take-home for the youngest child in the family, and which sell for only P15 to P20 ($0.31 to $0.42), makes pasalubong within reach for the mass market. Sitsirya’s use of high-grade desiccants and triple-layer foil in premium boxes also improves the products’ shelf life and quality, cutting the need for preservatives and making them easy to distribute even overseas. READY TO FRANCHISE. Eufracio Ocampo believes that franchising is a "more systematic" way of growing the business. Currently, Sitsirya Sari-Sari has 17 company-owned stores. Photo by Heidi Aquende. After setting up 17 company-owned outlets, the Ocampos realized that they needed a more systematic way to grow the business, prompting them to start franchising Sitsirya Sari-Sari in June 2015. “It’s a simple business – you just need to sell,” said Eufracio. “But Sitsirya doesn’t just sell pasalubong; it also sells memories,” he added, noting that every Filipino has a favorite pasalubong, with a story attached to it. “The memories are there, you just need to capitalize on the emotional triggers,” he pointed out. Inclusions: License to use name, trademark, and logo; site evaluation assistance; kiosk set-up; training; operations manual; P40,000 ($836.55) to P50,000 ($1,045.74) worth of initial stocks; marketing and advertising support; among others.